Tinnitus is a ringing in the ears that nobody else but you can hear. If you frequently experience this problem, you are not alone. According to the American Tinnitus Association, over 50 million Americans have some degree of tinnitus, making it one of the most widespread health conditions nationwide. Because tinnitus can be extremely annoying, uncomfortable, and lower your quality of life, seeking treatment is essential. Board-certified otorhinolaryngologist Dr. Michael S. Cohen can perform a thorough evaluation at his Long Island, NY, office to diagnose the underlying causes of your tinnitus and recommend the most appropriate treatment. Although tinnitus has no definite cure, getting treatment can help you manage your symptoms and live a more comfortable life. Constant ringing or buzzing in your ears can completely undermine your ability to focus and can make it difficult to fall asleep. These symptoms can occur temporarily or may be ongoing. Tinnitus has also been linked to psychological concerns including anxiety and insomnia. Dr, Cohen has a specific protocol for providing an accurate tinnitus diagnosis. After performing a visual examination of your ears, he will ask you about your medical history to determine whether certain medications are contributing to your tinnitus. We will then assess you for hearing loss to rule out any serious causes, typically with a hearing test. Getting professional treatment for tinnitus can help you manage the uncomfortable symptoms and enjoy your life fully once again. During this test, you will sit in a room wearing headphones through which you will hear a sound in one ear at a time and are asked to indicate when you hear it. This helps us determine the extent of any hearing loss in order to design the recommended treatment. 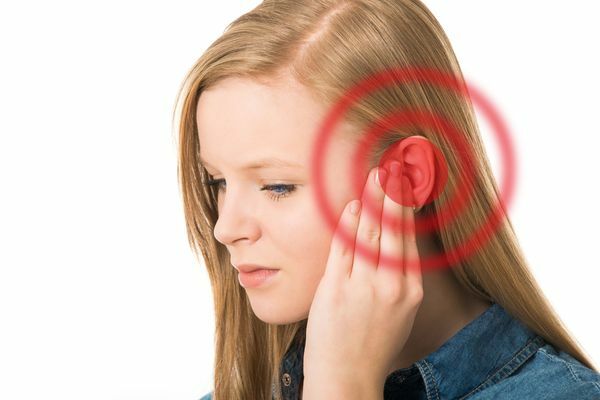 Although there is no definitive cure for tinnitus, there are several therapies available which can help you find relief. In some cases, your tinnitus may be caused by an underlying condition. By providing treatment for that condition, Dr. Cohen can reduce the symptoms. Tinnitus maskers: These accessories look like hearing aids and play a sound that counteracts the tinnitus sounds, such as rain or ocean waves. Hearing aids: These may help alleviate tinnitus that is accompanied by hearing loss. Earwax removal: If your tinnitus is caused by excessive earwax, Dr. Cohen can perform ear cleaning to remove the problematic wax with a curette and flush it out of the way with warm water. Prescription medication: If you have an ear infection causing your tinnitus, Dr. Cohen may give you prescription ear drops. TMJ treatment: For patients whose tinnitus is a symptom of TMJ, we may refer you to an outside specialist. Surgery: If a tumor or a calcium deposit is causing your tinnitus, surgery might be the best option. Promoting your overall wellness by living a healthy and active lifestyle can also help you reduce instances of tinnitus. Getting professional treatment for tinnitus can help you manage the uncomfortable symptoms and enjoy your life fully once again. Dr. Cohen treats both adults and children in one welcoming location and has served the needs of many satisfied patients. To schedule a consultation today, contact us online or call our practice at (631) 509-5250.